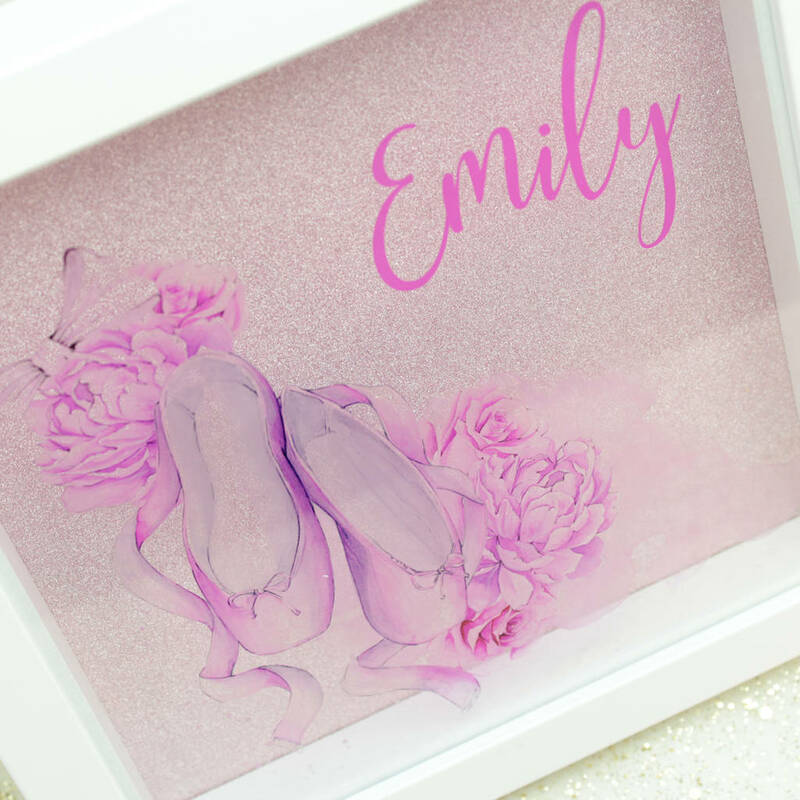 A pretty ballet pump print, personalised with the child's name and complete with a white chunky box frame. Perfect for any little ballerinas room! 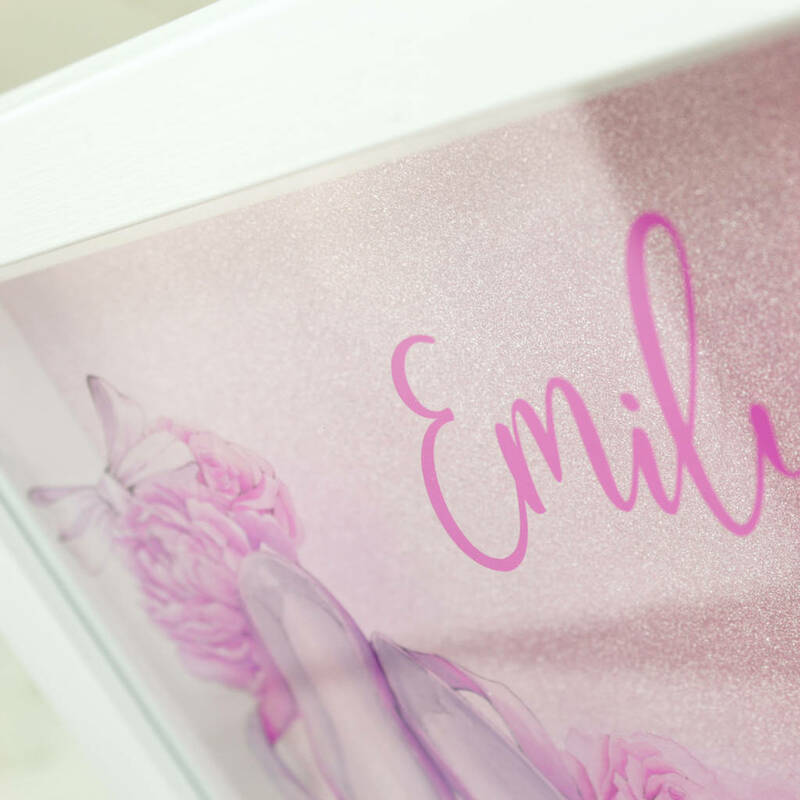 These frames are lovely decorations for a child's room and are extra special as they are personalised with their name. A thoughtful birthday gift and sure to be pride of place. 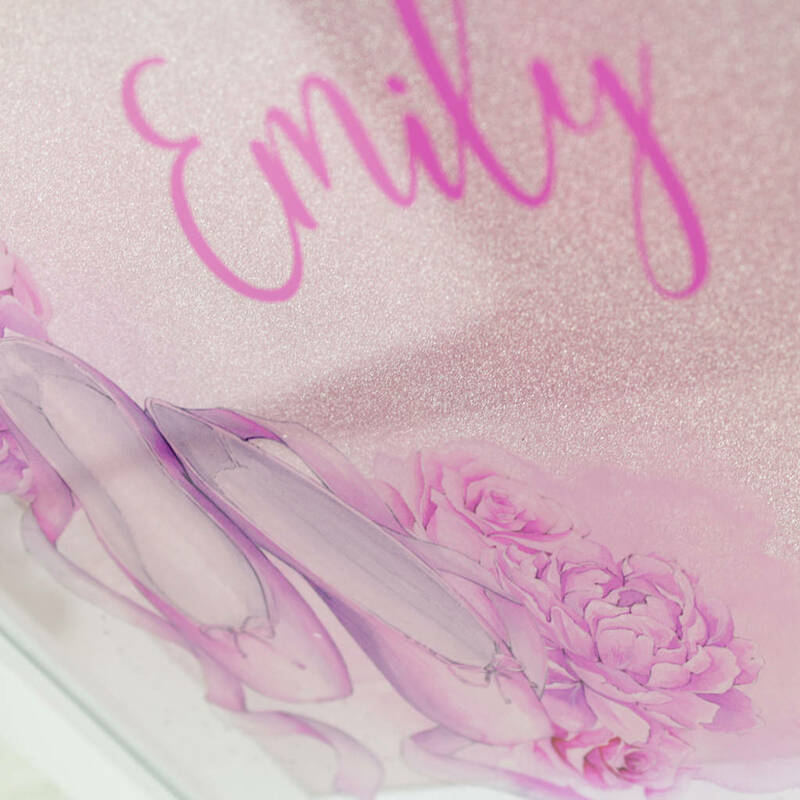 The design is printed directly onto the reverse of the perspex for durability and is backed with a pink glitter card to add a touch of sparkle and a beautiful 3D effect.